The expectation of 'free', already rife in the digital world, may partly explain the acquisitive actions of the rioters, Tracey Follows writes. How shocking it was to see the TV pictures of rioting. 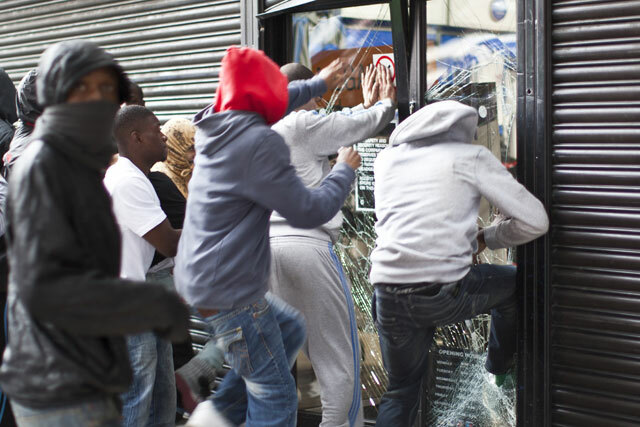 Looters helping themselves to trainers, plasma screens and mobile phones, walking into shops and brazenly clearing the shelves of more goods than they could carry. In particular, how shocking it must have been for marketers. Haven't we been telling our clients about the decline in materialism in favour of experience; how there is an accelerated trend in people buying on the basis of "values" as much as "value"; and how people are redefining what makes them happy by making more mindful purchases as they start to live with less and adopt a back-to-basics mindset? Well, the events of last week seem to have punctured that theory. What I saw was closer to what has been described as "shopping with violence" by groups who felt it their right to acquire as much as they could for nothing. When interviewed on radio, some of the looters admitted that they didn't need trainers. They were just taking the chance to get something for free. But is it any surprise that our society has spawned a group that feels it has a right to acquire things for free? For how long have we been peddling the "magic of free"? From entering a free draw, enjoying a free drink, downloading free content and reading our news for free, to free interest rates and even free housing. Is it any wonder that if you push the concept of free so far, not only do you end up with "freesumers", but freeloaders? The reasons behind the riots are complex, but the contribution made by the marketing of "free" is one element that has been strangely overlooked by the media, which has prefered to dwell on the political subject of "cuts" rather than on the economic subject of "costs". But this was a riot cultivated by a culture of acquisition, not of austerity. The evidence is there before us in the TV pictures of looters; people who have been described as "mindless", who value nothing but their ability to acquire what is not theirs to take. If this is about politics, it is about the politics of price. If you tell people over a long enough period that the things they most desire can be acquired for free, you erode the framework for understanding value. We can theorise about the post-recessionary changes that are taking place in the "value exchange", but the truth is that in a market where everything is free, there is no value exchange. Much research has been conducted on the effects of presenting products as "free". One of the best studies is How Small Is Zero Price? The True Value Of Free Products by Kristina Shampan'er and Dan Ariely. They show that "zero cost" encourages people to act much more irrationally than if they had to weigh up the costs of something that came with a price tag. The digital noughties (which could be renamed the "freebies") can be held partly accountable for the "mindless mindset" that fuelled some of last week's events. When the writer Clay Shirky paraphrases Nick Szabo, the economics thinker, on the idea of "mental transaction costs" (the energy required to weigh up what the cost of something might be), he comes to the conclusion that: "The only business model that delivers money from sender to receiver with no mental transaction costs is theft." Or, if you like, something that you don't own but that you can take for free. We have an expectation of "free" in the digital world and, as the digital world and the physical world become one, can we really be surprised when people have rising expectations that what they want should be free? Looting online has been going on for ages. As a society, we have been happy to overlook it. But who pays for the data to "freely" view YouTube on an iPhone? Who pays to play FarmVille or for messaging on BlackBerry Messenger? The answer seems clear now: we all pay. Free has been used as a mass distribution mechanic, and last week's looters felt that some non-digital mass distribution should be coming their way. This is not to excuse their repugnant behaviour, but it is to raise the possibility that in a world of free, where acquisition is presented as having no consequence, we are not raising a generation of free-thinkers, but a generation of non-thinkers. A generation that does not have to calculate risk and reward. A generation that has grown up with free information, free publishing and free distribution at the heart of many of the products it consumes. And here's the rub: years ago, Platonic philosophers were very suspicious of zero. Because zero was seen as "void", and since that was a concept that was impossible, neither was zero possible. As marketers, we have used free to mean zero, and the truth is that it is just not possible. Nothing is ever truly free, and nor should something we want people to truly value be flogged as free. We must redefine free as part of a trade, and not as zero. Like freedom itself, "free" is not a right but a responsibility. As such, it always comes with consequences and we must be responsible enough to spell those out. Tracey Follows is the managing partner/head of planning at VCCP.